Explanation: Few cosmic vistas excite the imagination like the Orion Nebula, an immense stellar nursery some 1,500 light-years away. 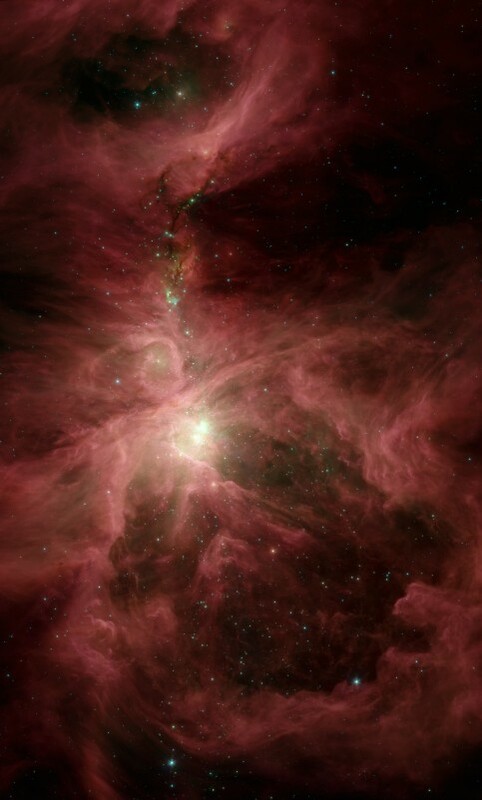 Also known as M42, the nebula is visible to the unaided eye, but this stunning infrared view from the Spitzer Space Telescope penetrates the turbulent cosmic gas and dust clouds to explore the region in unprecedented detail. At full resolution, the remarkable image data yields a census of new stars and potential solar systems. About 2,300 young stars surrounded by planet-forming disks were detected based on the infrared glow of their warm dust, along with about 200 stellar embryos, stars too young to have developed disks. 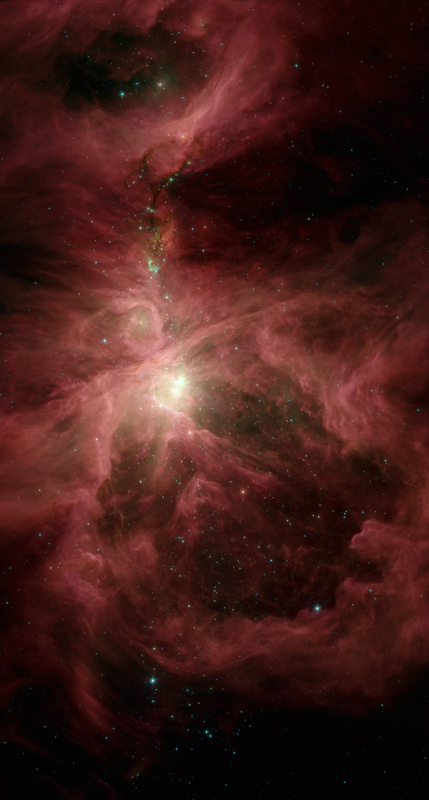 This 0.8 by 1.4 degree false-color image is about 20 light-years wide at the distance of the Orion Nebula.